Whether you live in Piedmont, Yukon, Bethany, Oklahoma City, or Mustang, Oklahoma, the team at Woods Self Storage provides the convenient self storage solutions you’re looking for. Our facility is located on Sara Road, just west of Lake Overholser! Get Your Second Month 50% Off! 2nd month is 50% off when renting for 2 months or more. Our office is open five days a week in order for our team to best serve you. Stop by between 9 a.m. and 6 p.m. Monday through Friday, 9 a.m. and 5 p.m. Saturday (with the exception of our lunch break from 1 to 2). You’ll be welcomed by some of the friendliest professionals in the self storage industry, and we’ll work with you as long as you need to complete your project efficiently. Just look for us north of I-40. We’re about ten miles from Oklahoma State University and a short drive away from Aspen Boat & RV Storage, Route 66 Park, and Will Rogers World Airport. As a new storage facility in Yukon, we’ve pulled out all the stops to make your stay with us the best it can be. Take advantage of 24-hour access to your storage unit, online bill pay, and onsite storage and power for your car, boat, or RV. You can choose from climate-controlled units and drive-up accessible spaces, all in a wide variety of sizes. We keep the entire property safe with surveillance cameras, individually secured units, perimeter fencing, and electronic entry. Give us a call today. We’ll be happy to assist you! Needed a storage unit in a hurry and found Woods Self Storage online with good reviews. They had a great promo going on when we reserved for 3 months and then offered us the same promo when we extended our reservation for another 3 months. Ended up with a bigger unit for the smaller unit prices. The lady in the office (unfortunately I don't remember her name) was very kind and helpful. The location worked well for us and what we needed. Jessica, Thank You for Allowing Woods Self Storage to Service your needs and for taking the time to give us a review. Our goal is to serve. No bugs or rodents. Well lit, cameras. Knowledgeable staff! Lisa, Thank You for Allowing Woods Self Storage to Service your needs and for taking the time to give us a review. Our goal is to serve. Eric,Thank You for Allowing Woods Self Storage to Service your needs and for taking the time to give us a review. Our goal is to serve. Nickalas, Thank You for Allowing Woods Self Storage to Service your needs and for taking the time to give us a review. Our goal is to serve. 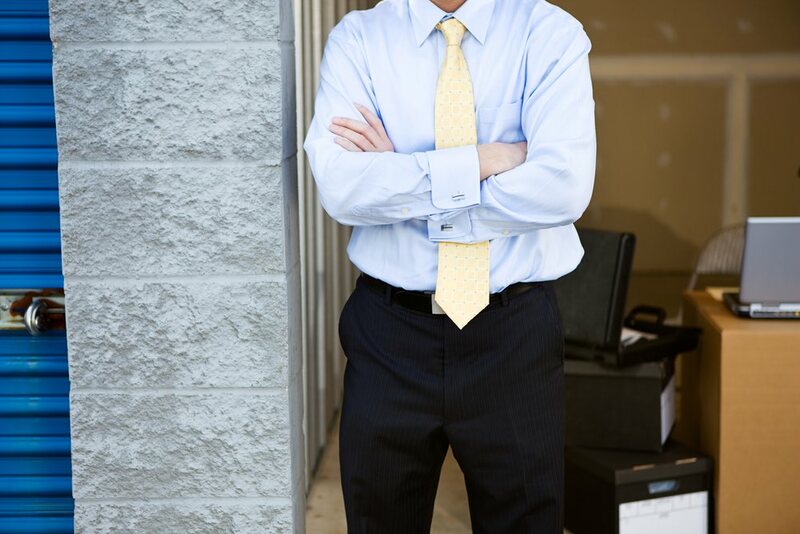 At Woods Self Storage, we want to do everything we can to make running a small business easier. That's why we've introduced our Warehouse Buddy program - allowing businesses to receive mail directly to their storage unit. Using a storage unit as a warehouse allows businesses to simplify the shipping process, save money, and save valuable space. Click here for more information on this program.